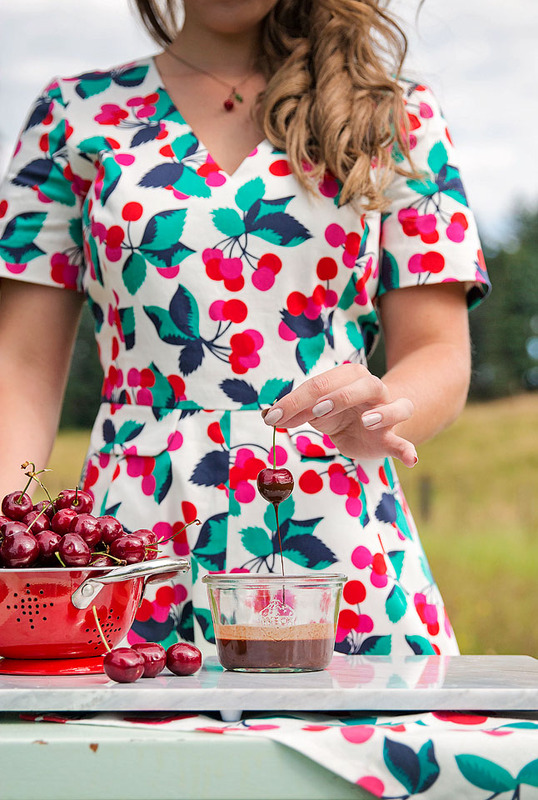 Cherry season is in full swing which means it’s time to make all your favorite cherry treats! I love cherries in my smoothies and also in baked goods. In particular, I love them in cupcakes. 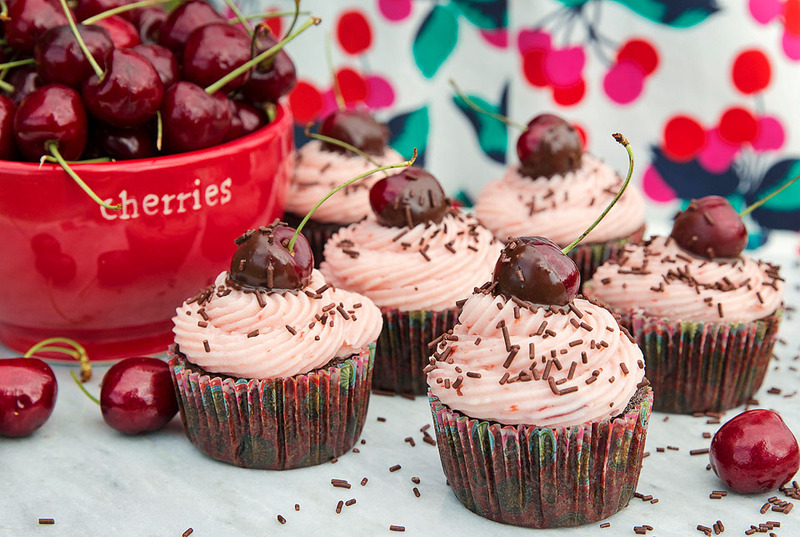 Cupcakes, in general, are always a hit and the chocolate/cherry flavor combination, in this case, is incredibly delicious. 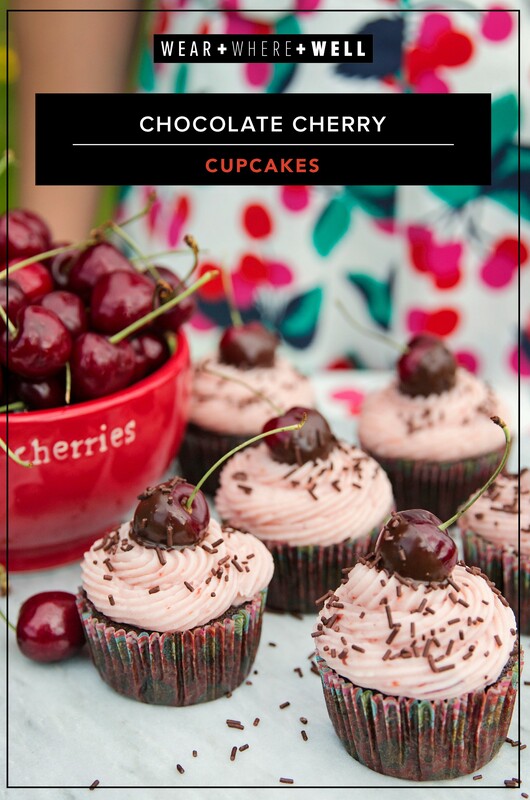 This chocolate cherry cupcake recipe is one that can be made year-round since only the topping really needs to be a fresh cherry. 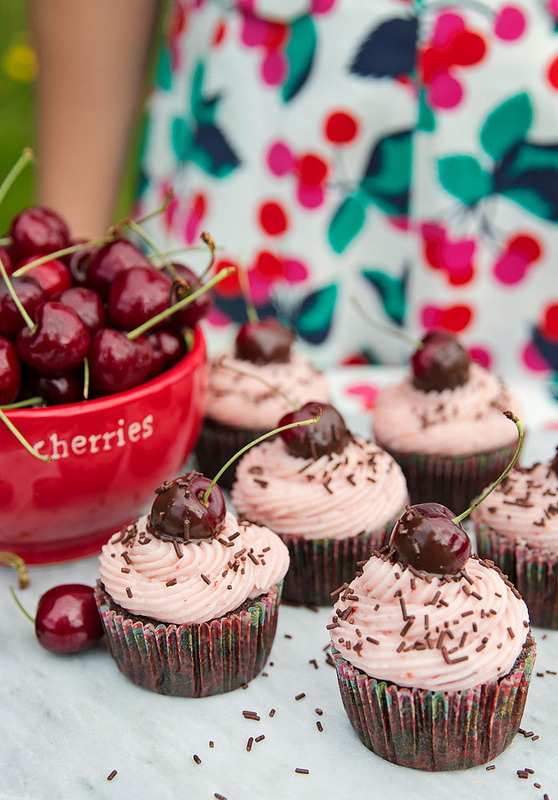 In off seasons, cherry filling or even frozen cherries can be used in the recipe for the cupcakes and frosting. 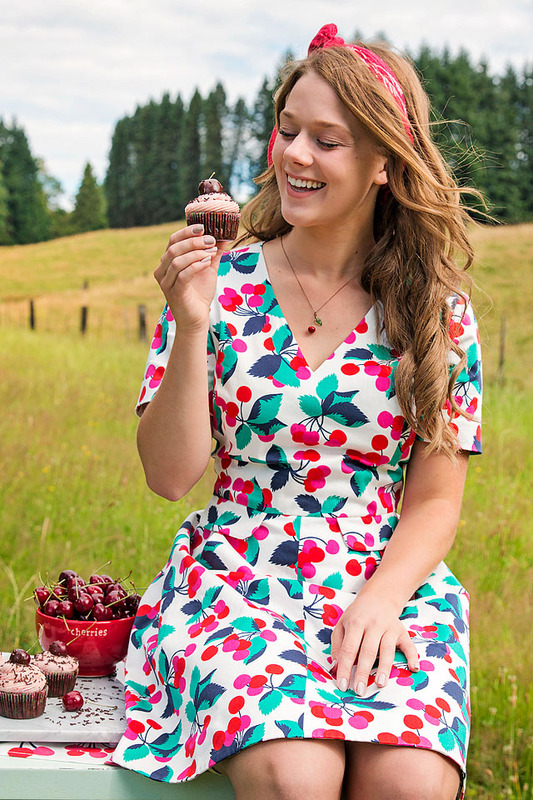 But because we’re in the middle of cherry season, we wanted to take advantage of the fresh cherries out there (as well as find an excuse to wear this adorable cherry print dress). 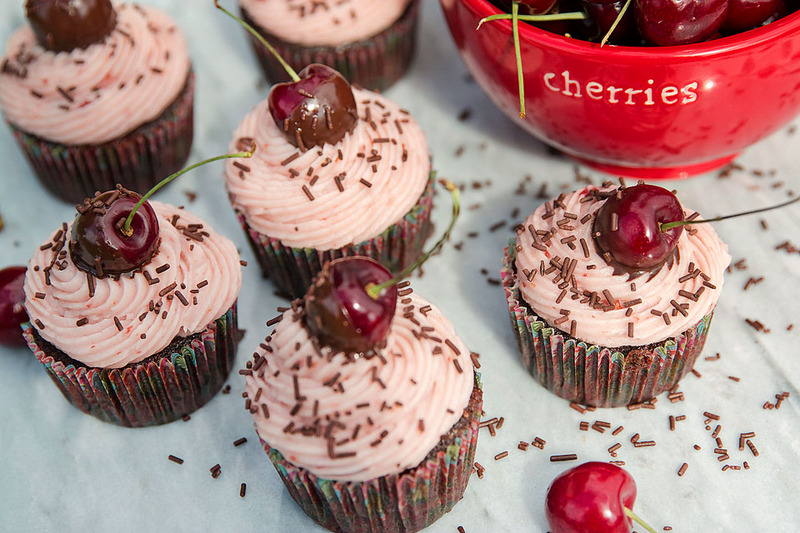 These chocolate cherry cupcakes are so moist and yummy. 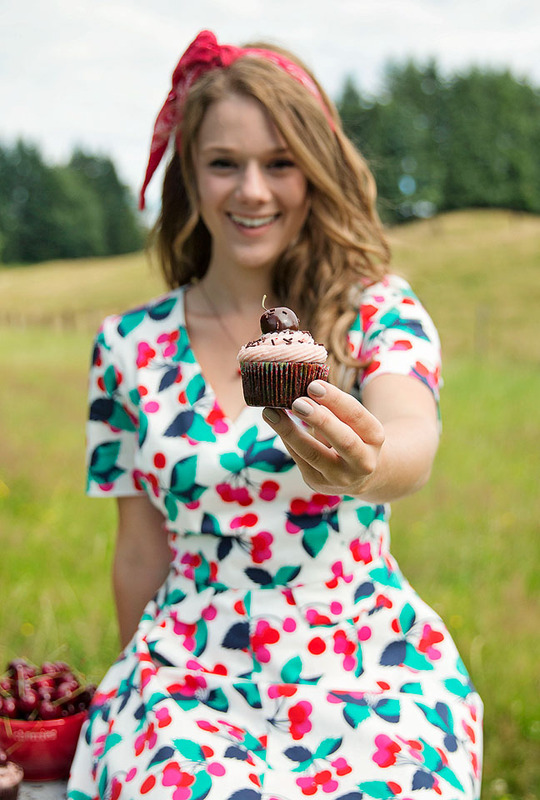 They are also easy to bake, making them perfect for your next outdoor party or event! 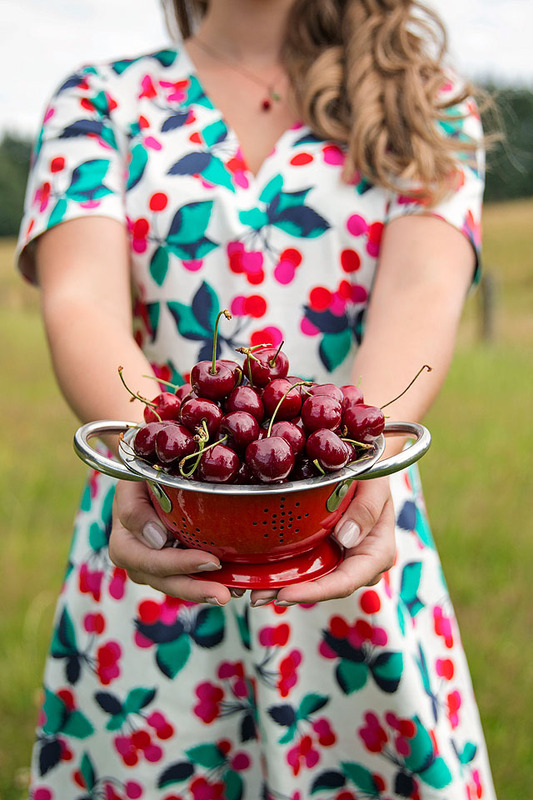 Have you gone cherry picking this season yet? Let us know what you think of this recipe in the comments below. And be sure to check back this afternoon, as we have an interview coming your way! Yummy! Amazing how delicious everything looks like! Great photos!